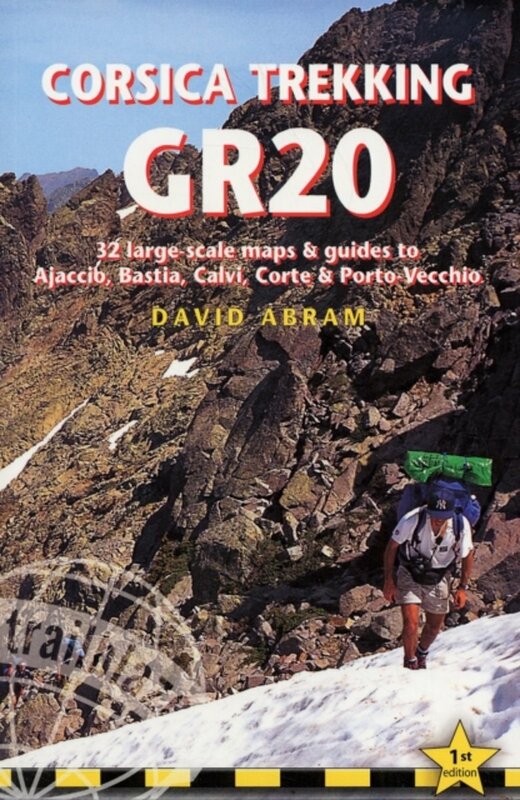 You've hit on a very popular walk: the GR20. 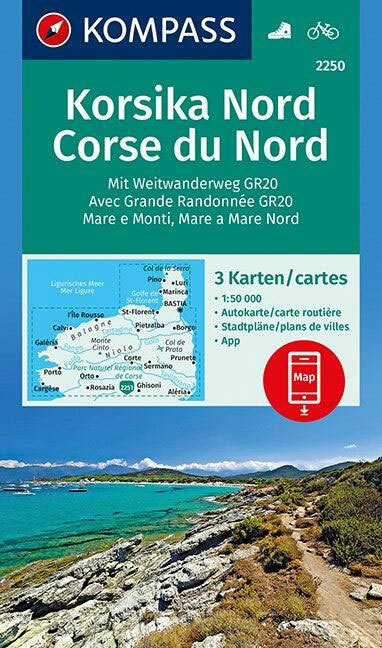 This trail follows the high ridges of mountainous Corsica, an astounding wild and beautiful landscape, dramatically changing from day to day. The GR20 is rewarding and enjoys universal admiration. 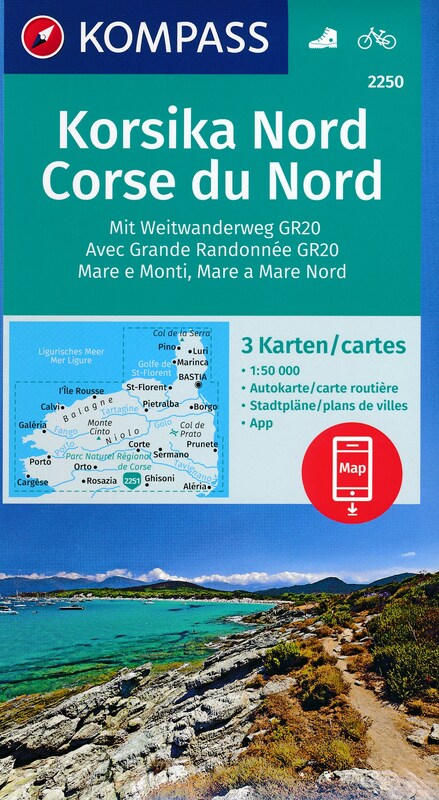 The trail is said to be the hardest of the Grand Randonnées. Looking on the map you will be surprised why you need two weeks to cover this small distance. The hardships are many: steep, often smooth plates, tricky in wet weather. Other sections need the help of your hands. Whenever necessary, you will find cables. Another problem is that you won't find many shops. 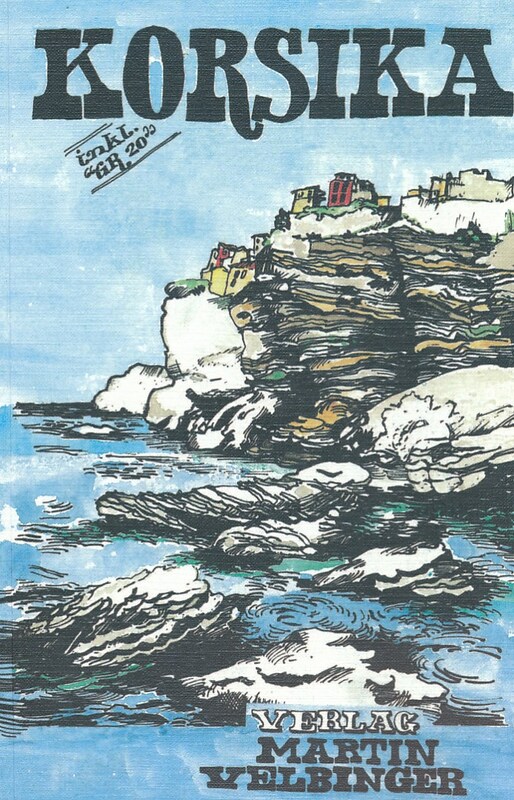 Actually, if you don't like to descent to villages for provisions, you have only one shop halfway, in Vizzavona. This is also the first road you cross in one week time! Therefore, you have to carry food for a week. Water in late summer can be difficult to find. You must take enough bottles or whatever to carry your water supply for a day. The weather is probably best in spring, but you will have some patches of snow. From july to september thunderstorms develop in late afternoon. And it is hot! October is more calm, less hikers, but also dry. One point on the downside must be noted here: the shamefully ill-conditioned facilities. Maybe you don't mind; fine for you. Camping or bivouac is forbidden anywhere but near the "huts" (sometimes "shack" is a better word) and there you will hardly find a place to pitch your tent but you will still have to pay. There is almost no food in the huts, often no meals, frequently no light, maybe one gas-burner for the entire overcrowded hut. We do not know if the situation has improved the last years. From 2009 onwards a reservation system has been introduced, also for camping. This is barely a solution for the bad welcome you get anyhow. Positief We did the entire 200 km hike in 7 days instead of 16. Landscapes are amazing and change a lot between the North part and the South part of the island. This is quite a demanding hike even for the one used to hike, but you will have plenty of occasions to feel rewarded. 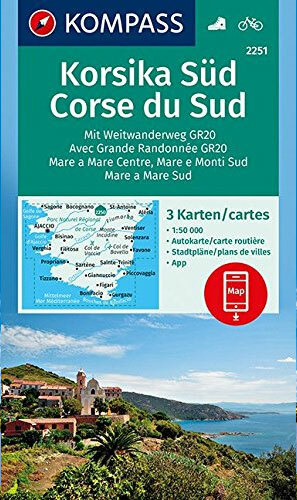 Sea transport cheap from France, especially from coastal cities like Marseille, Toulon or Nice. Negatief Prices ate refuges are not serious... People working in the refuges not always welcoming, most of the time seing hikers as walking-wallets. Positief Tough walking / scrambling. Refuges, the facilities are much better than I'm accustomed to. Swimming spots, views, meeting fellow walkers from all over the world. Positief The GR20 is an excellent experience and lives up to it's reputation of being the hardest Trail in Europe. The water is crystal clear and clean enough to drink straight from the source. The locals were amazing and greeted you like one of the family. The Refuges were well kept, all facilities in working order in a healthy, clean and tidy environment. The Views were needless to say, ... Spectacular. Negatief Took me 4 weeks to recover my knee caps, though this is more about my not being physically prepared enough for the venture. You really need to be physically fit and capable of ascending and descending over rocky terrain all day long with a back pack on. Positief Technical, demanding hike. many different landscapes. Tough hike! Negatief very expensive to buy food at the refuges. 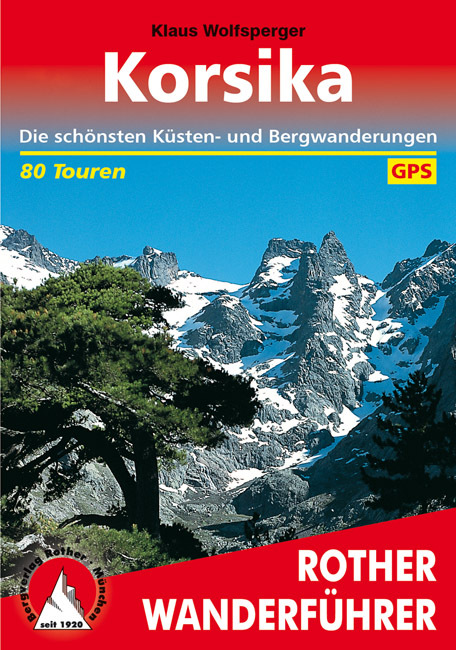 This page aims at giving hikers all the information they need for the trek. 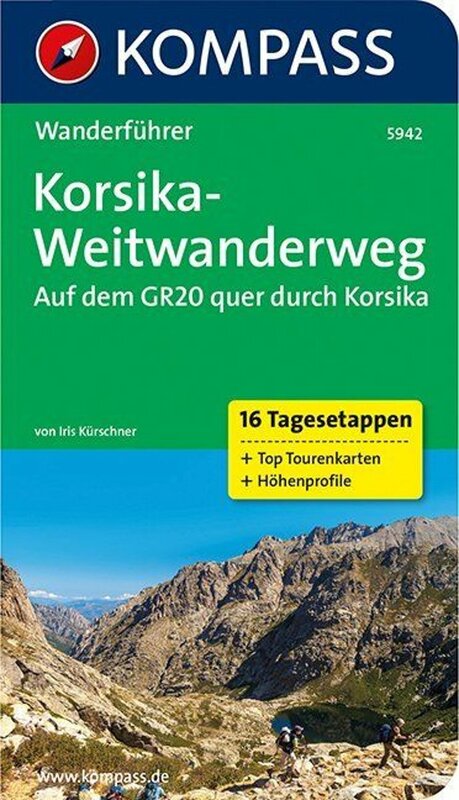 For our German friends: this page introduces the GR20 and its sections. Excellent page, start your preparation here. The huts are here, the stages of the trail are described, GPS files for download, and explained is how you can get there and around. This will be one of the last pages to check before your depart, to find out if their are even more barriers put up by the authorities. Introduction to this trail (Spanish). Introduction of the trail on Randozone. Read other hiker's opionions. Trip report, great photos and video. 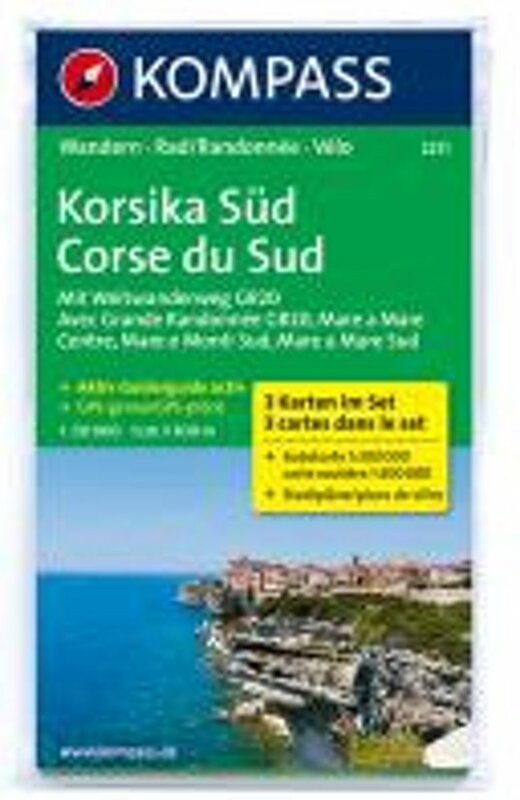 Trip report, pictures, "conseils pratiques". Report with lots of good photographs. Day to day description with pictures. 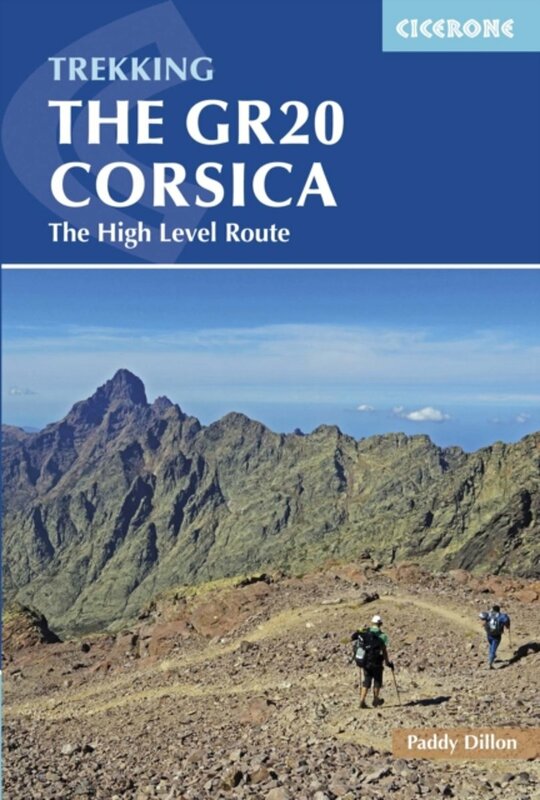 A walk on the GR20 in June 2013, magazine style report with 331 pics. 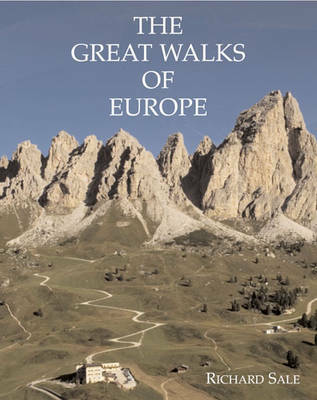 Here you can find many facts on the hike and a trail diary. Some pictures, some info about food, some recommendations. This trip was made in June. Read the group's diary and view their photo album. Trip report, day to day, photo album, and practical tips. 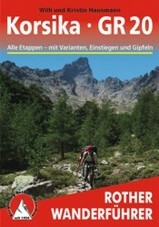 A blog about a fast hike of the GR20 in September 2011 with lightweight packs. Pete Lockey writes: "Very good advice is to keep gear as light as possible, although very few people seem to take this approach" after he finished one of the most difficult GR's. 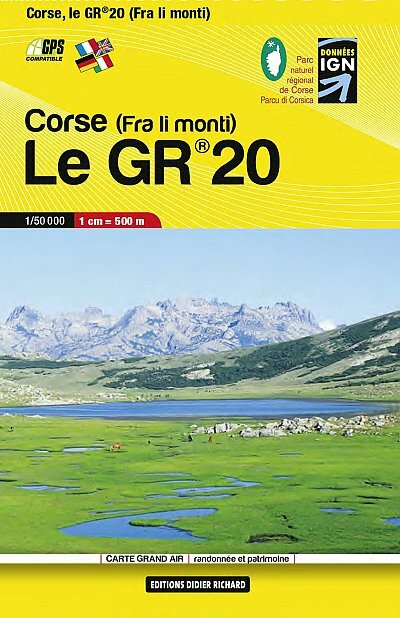 This hiker returned three times to the GR20. Tips, photo's and diary. 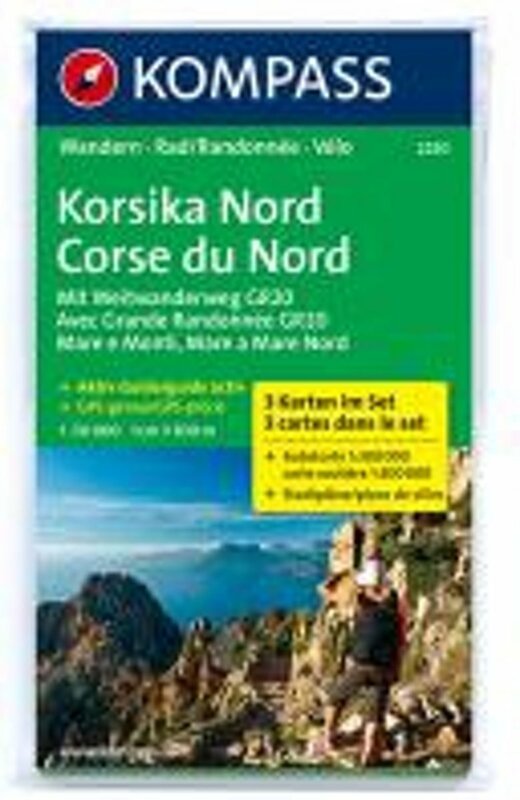 Trail diary, from south to north (most people walk north-south). Day to day description and fine pictures. 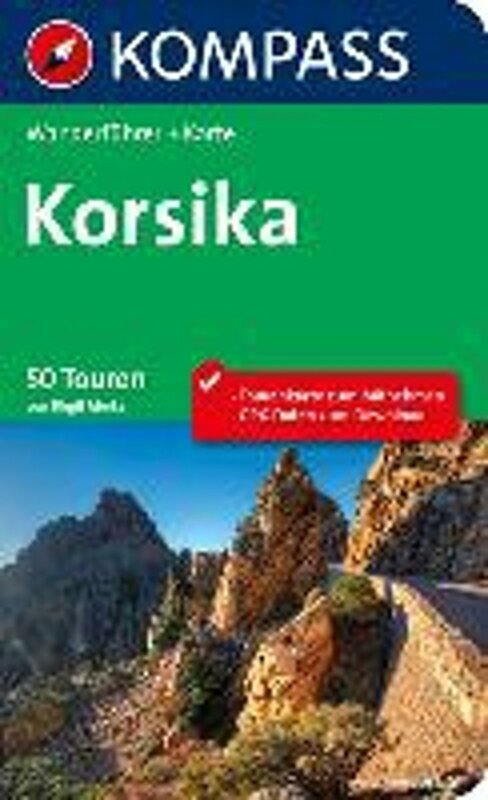 Helpfull hints and a trip report including photo album. 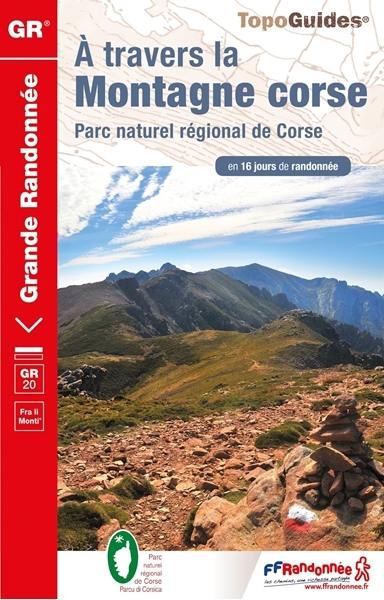 Pierre Chaumeil finished a good deal of the GR10 and HRP in the Pyrenees and all of the GR20 in Corsica. His trail journals and pictures are here. Here's someone who assembled recollections of 20 years GR20. Report with photographs of a summer hike along the GR20. 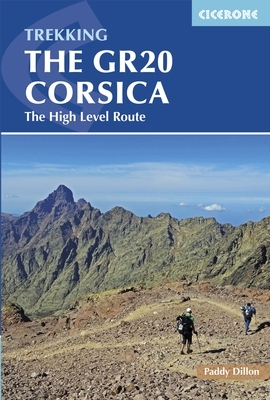 This hike follows the GR20, but with interesting variants. Day to day report and good pictures. Blog in one long entry. 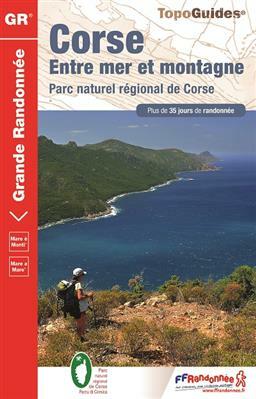 Corse A Travers La Montagne Gr20 15 Jours De Rand.